My first memory of my grandmother's cooking is - how she made a simple, yet flavorful lemon flavored rice one night out of just a bowl of stale rice. Things were scarce, times not-so-luxurious back then and being judicious about groceries was the only way to keep the family of five well fed and nourished. Money doesn't define us as human beings only compassion will, she used to say. 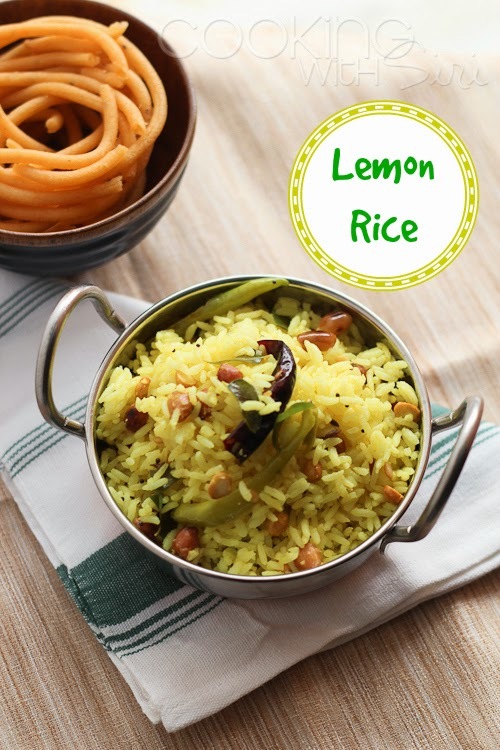 Whenever I make this Lemon Rice at home, I think of her immense love and exuberance. When I am 60 years old, even if I manage to imbibe half of her qualities, I would feel really accomplished in life! In a wide pan, spread rice and mix in 1/2 tsp of oil. Toss everything together and set aside. Heat oil in a pan. Add chana dal and peanutes. Once they turn light golden brown, add urad dal. After few seconds, add mustard seeds, red chillies, curry leaves and green chillies. Next goes in turmeric, salt and hing. Turn off heat. Then add lemon juice. Add the seasoning to the rice and mix so that the rice is evenly coated. Taste. Season and add more lemon juice if you like. Cover and let it sit for atleast half an hour, if you can for the flavors to blend. Serve. Lovely pictures. You've made me want to eat it NOW. No leftover rice here, but I just put the cooker on to make some rice and will be whipping it up for dinner. 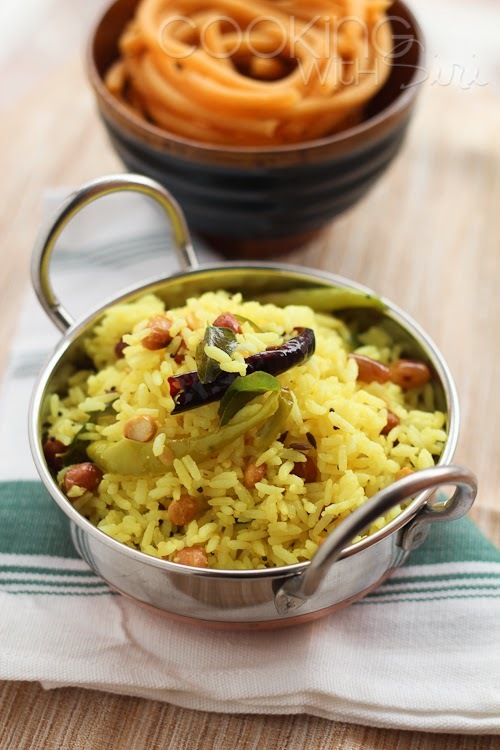 Very nice colour of your lemon rice, I have not tried with left over rice. Thanks for sharing.